If the 1926 drawings were copied from builders drawings (with later changes added) we will probably never know. I agree your opinion. We do not have accurate historical documents. In 1945, almost all drawings of IJN vessels were discarded or scattered and lost, and most of Mikasa's structures (wheelhouse, chart house, funnels, casing, ventilators, skylights, hatches, etc.) were destroyed in 1948. Therefore, when Mikasa was restored in 1961, persons in charge of the restoration were suffered for lack of Mikasa's documents, and limitation of budget. Consequently, present Mikasa's appearance is different from her past. Hasegawa's kits of Mikasa were designed partly based on present Mikasa, so parts of midship were different from her past, too. 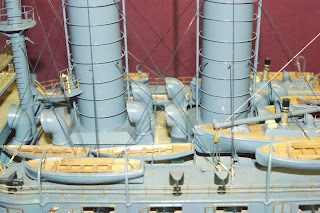 As to appearance of the midship, I think the model below is best among her models exhibited. 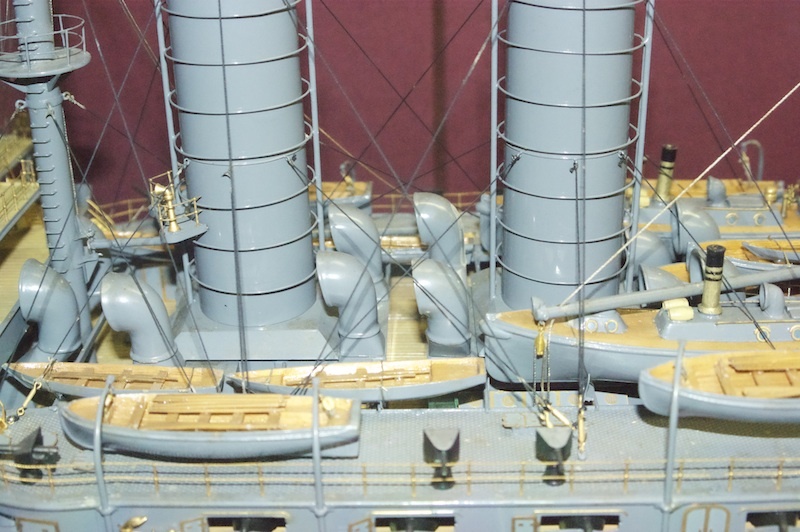 Please refer also article "Large Model of HIJMS Mikasa "